On intellectual property, Trump took jabs at China, and at neighbours Mexico and Canada. He did not mention that those paying into the Treasury are US businesses and, ultimately, consumers. The US tariffs on China are subject of a World Trade Organization dispute. He also continued his style of criticising others while at the same time professing friendship or respect toward them. The second mention of IP came in the context of the North American Free Trade Agreement renegotiation. He offered no further details on the IP references. It is notable that Trump will need to get the USMCA through the House of Representatives, which is now controlled by the Democrats. And while promoting trade with the United States’ two largest trading partners, he has also sown significant division with both Mexico and Canada. Then Trump went on at some length (in an hour and 20 minute speech) about cutting prices of drugs for Americans, an issue that presumably not only plays to his working class base but could be attractive to Democrats on the other side of the aisle. It is ironic, however, that some of the goals he cited were included in the health care plan passed by President Obama, which Trump has been working vigorously to undo. In aiming to lower drug prices within the US, one object might be to raise prices abroad. And he appeared to call for transparency in pricing, a hotspot in global negotiations. “We should also require drug companies, insurance companies, and hospitals to disclose real prices to foster competition and bring costs way down. No force in history has done more to advance the human condition than American freedom,” he said. Meanwhile, Trump promised massive federal dollars for cancer research, highlighting childhood cancers. Separately, it might be noted that while Trump made a couple of oblique references to innovation in America, he did not specify technological areas, like artificial intelligence, biotechnology, or digital advances. 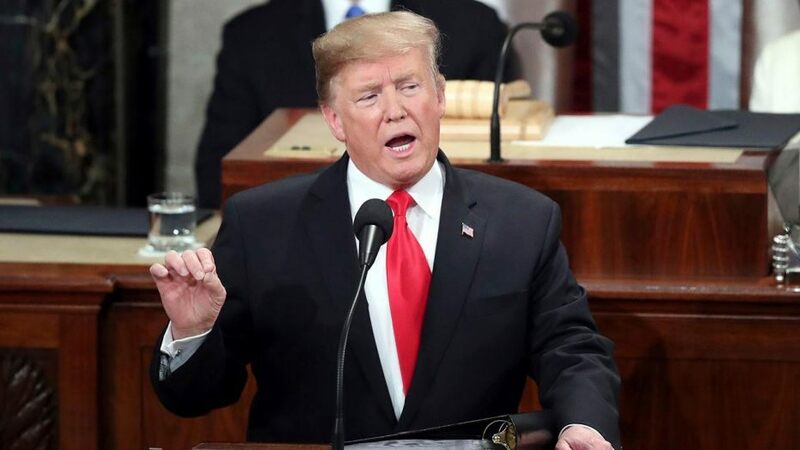 "Trump Highlights IP, Trade, Drug Prices In Speech To Congress" by Intellectual Property Watch is licensed under a Creative Commons Attribution-NonCommercial-ShareAlike 4.0 International License.